We know that the holiday season is one of the best times to connect with family and friends, wear your favorite festive outfit to a party, and drink some eggnog (or insert your favorite December pastimes). It’s also a time of gift giving to let the people we love most know we appreciate them. 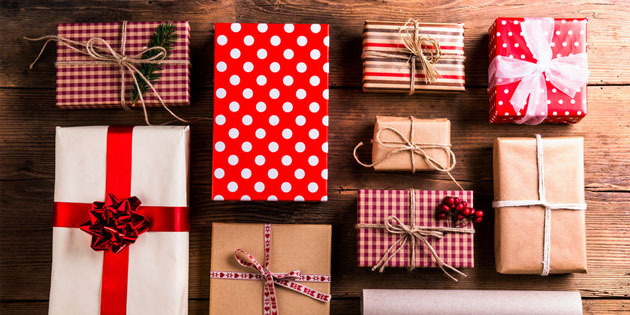 And when we give gifts, it impacts our overall wellbeing, as well. Increasing production of dopamine, serotonin, and oxytocin in the brain will – quite literally – boost your mood. One of the easiest ways to get that “happiness high” is by giving to others. But when it comes to business, it seems that the holidays can be seen as a time to get more “buyers”. It’s not your fault and it’s also not a “bad” idea entirely. We have been programmed by Black Friday deals (starting on Thanksgiving!) and never-ending shopping incentives. And people do buy. But what if you offered “gifts” this season that impacted your fans, followers, and clients in a real way? The kind that could skyrocket your relationships with your fans and followers for the New Year? Your best clients are the people that have worked with you already. Whether it’s a client you helped find their perfect match for or coached them as they decided to get back in the dating game after some time away, these people can spread the word about the good, life changing work that you do. It’s the kind of marketing you literally can’t get anywhere else. So thanking your existing clients and customers is one of the smartest things you can do this holiday season. Consider offering them a mini course or workshop to help them keep the love they’ve found. You can even invite a few special clients you’ve worked with into the office for a festive toast and thank them in-person. Any of these gestures will be, not only, appreciated but will help you stand-out from so many emails and coupon codes. And, as you already know, the best thing a client can do for you is tell others about your work. Reminding your current clients that they are valued and appreciated is a sincere and thoughtful way to further your business, without feeling “salesy”. There is nothing wrong with a holiday discount and making it easy for someone in need of your services or products to buy from you. But throwing a bunch of ideas up at the wall and hoping it will stick isn’t the best idea when you are running a boutique business. Take a look at the most valuable thing about your business (hint: it’s you!). In this digital world, we constantly get lost in posts, hashtags, videos, boomerangs – you name it – and forget that connecting with our audience and potential customers, one-on-one, offers something truly immeasurable. So this season considering offering a discount on a consultation with you. Clearly explain what they will get – how it will impact them in the year to come and one or two ways they can start implementing as soon as they hang up the phone, walk out of your office, or log out of that Zoom call. This kind of thoughtful discount makes it simple for potential clients and customers to understand your value, insights, and expertise – and how it can change their life for the better. Your list is most likely made up of people who vibe with you. They like what they’ve seen from you or you offered something of value online or at an event, and so they signed up to get more. December is a great time to show them some love. Put together an ebook that provides solid, good content where they will feel supported. If this seems like a daunting task, remember it doesn’t have to be brand new content. Go back and bundle some of your favorite blog posts from this year or posts from other thought leaders and experts that you like. Offer them a gift idea or some simple tips to take care of them first this Christmas. Remember that the seeds you plant this holiday season will only strengthen and support your vision, goals, and next steps for 2018. Have some great ideas for your fans, customers, and clients? Leave a comment below and tell us how you’ll invest in your audience this holiday season!